Tucker is a snuggler and ready to be loved. He’s a bit overweight and needs to lose weight badly so he can breath better. He won’t be able to travel far to his new home as he has severe anxiety with travel but we are also making sure it’s not just his weight putting strain on him so when he gets too excited he can’t breath as well. 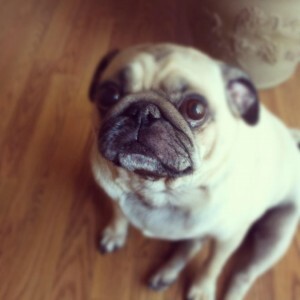 He’s in foster care and we hope to have an update soon on this precious pug.